A 'Vicair' - What's that? What Vicair also stands for is ‘viscous air’, two words that logically speaking don’t mix, which is exactly what makes our cushions unique. Viscous is nothing more than a difficult word for the consistency of some fluids such as syrup. So how do air and syrup relate? The consistency of syrup is what we have created for air through our technology. Syrupy air is exceptionally stable and good at redistributing pressure – the ideal components for high quality wheelchair cushions that are made to prevent pressure ulcers and provide optimal positioning. Vicair was founded in 1993 and has ever since been working on improving our technology, products and expanding our range. It all started with an invention by Huibert Pollmann in the Amsterdam Rehabilitation Centre. He believed that in order to sit comfortably in a wheelchair you need high quality pressure redistribution and stability, and he thought air was the best way to achieve this. His vision included separating air into small packages that can move alongside and interlock one another, resulting in optimal pressure redistribution and stability – SmartCells were ‘born’. Vicair used Huibert’s invention and turned it into a product, and eventually a product range. Years later, Vicair BV has turned into a world player in seating and positioning products. We are proud of the fact that our SmartCell-filled wheelchair seat cushions and back support cushions can be found in wheelchairs of many individuals all over the planet. We strongly believe that air is the best medium to redistribute pressure and through our air-based technology we are able to manufacture the most high quality wheelchair cushions for pressure ulcer prevention and stability. Vicair now offers a complete range of wheelchair seat cushions and back systems of the highest quality. Additionally we offer pressure- and pain relief mattresses for those who are confined to bed. Vicair’s technology of packaging air and using this to redistribute pressure, is not only applicable and effective in wheelchair cushions. Where the same type of SmartCells are used in the Vicair mattresses to relief pressure and pain, we have also developed different packaging shapes for different applications. 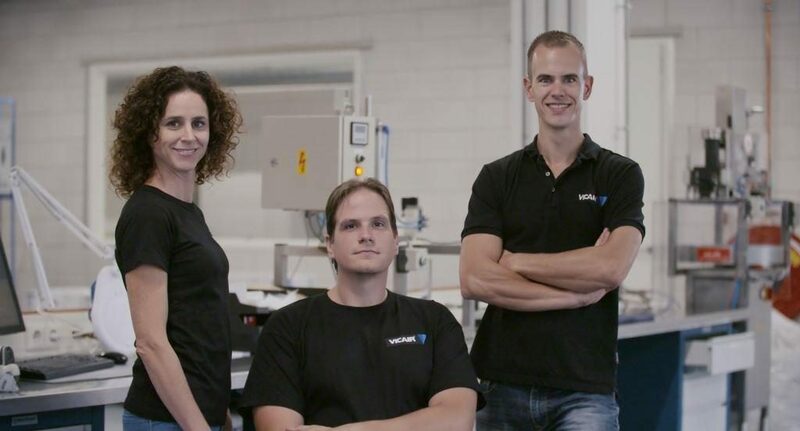 We are very proud that Vicair’s sister company, Maxxcare, has adopted our technology enabling high quality off-loading for pressure injuries, through a superior heel protector. The Maxxcare cells could simple be described as elongated SmartCells, providing the same protection and pressure relief, making them ideal to aid in treating pressure injuries. Next to using our technology for other products and purposes, we also value validating our technology scientifically and bringing more measurable proof via technology into the field. Vicair’s R&D department continuously conducts studies to improve or test the quality and capabilities of products . We aim to share as much of the knowledge we gain through these studies as possible via our educational program. Besides exploring the opportunities of our existing technology, we also aim to bring new technology into the market that can help achieve better insights into seating and positioning. One of our biggest achievements is the launch of the very first shear force measurement tool, that until this day is still the only device capable of providing these insights: iShear. iShear gives insight in the total shear forces that take place in a certain position. Additionally it also shows the shear forces per side (left or right leg) in order to show asymmetries that might need adjustments. iShear provides such valuable insights that we strongly believe that in a couple of years every wheelchair will be set up with an iShear. At Vicair, we care. Our office and production facilities are manned by dedicated and professional team members. Everyone working at Vicair becomes a part of the Vicair Family, as we all work closely together to achieve optimal outcomes for distributors, dealers and most importantly the end users. Our staff is more than happy to answer any questions you might have, so please don’t hesitate to contact us!